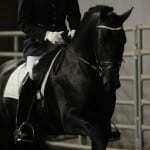 (SOLD) Agosto is a 2007 Multi-National Champion Black PRE stallion. 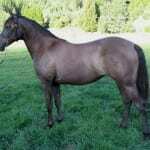 His sire was our foundation stallion, Mystique’s Manolete and his dam was our foundation mare OA Sienna. This combination produced a beautiful stallion with exceptional movement. Agosto won the 2008 Canadian National Champion Colt, 2 years and Under as a yearling. 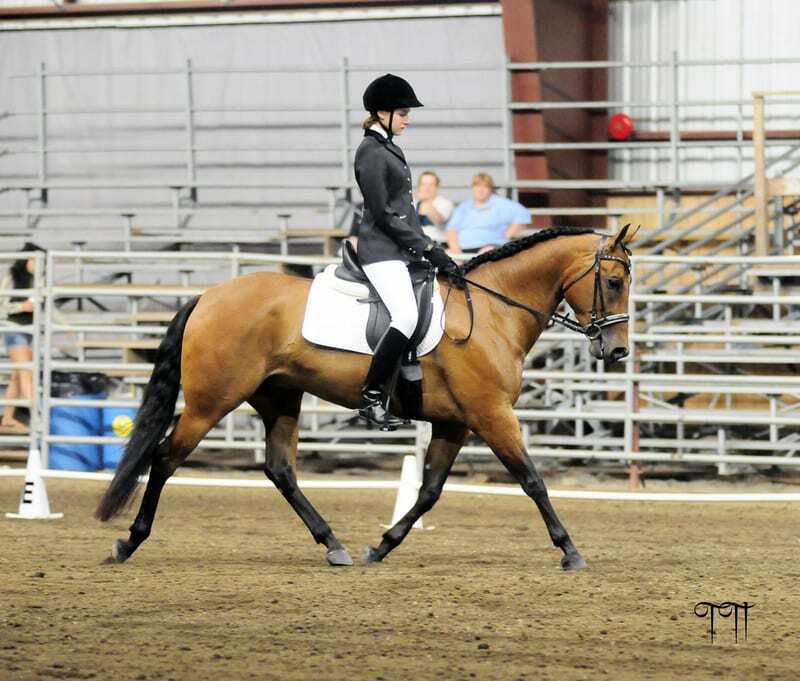 He was then shown under saddle as a 3 year old in 2010 where he won 5 national titles in dressage and English pleasure both in open and Junior Horse. Just prior to Agosto’s 4th birthday he performed at the Fiesta where he did a spectacular exhibition freestyle displaying extensions that would take your breath away. 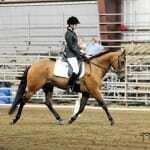 Agosto was sold in 2011 to Wendy Feller where he stands at stud near Portland, Oregon. Agosto is the sire of our beautiful black ¾ Andalusian filly, VA Sofia. Sofia was the 2013 Supreme Halter Champion, part-bred. VMF Arquero is a bay 2007 Azteca gelding. His sire is national champion stallion VMF Valiente and his dam is our AQHA mare Tivio Jacks Ms Holly. This beautiful colt was shown as a yearling at the 2008 Canadian National show where he won Reserve National Champion Junior Stallion, 4 and under. He was donated by Valhalla Andalusians to PAALH where he was auctioned off at the Fiesta. The proud new owner was Kaylyn Steinhauer. 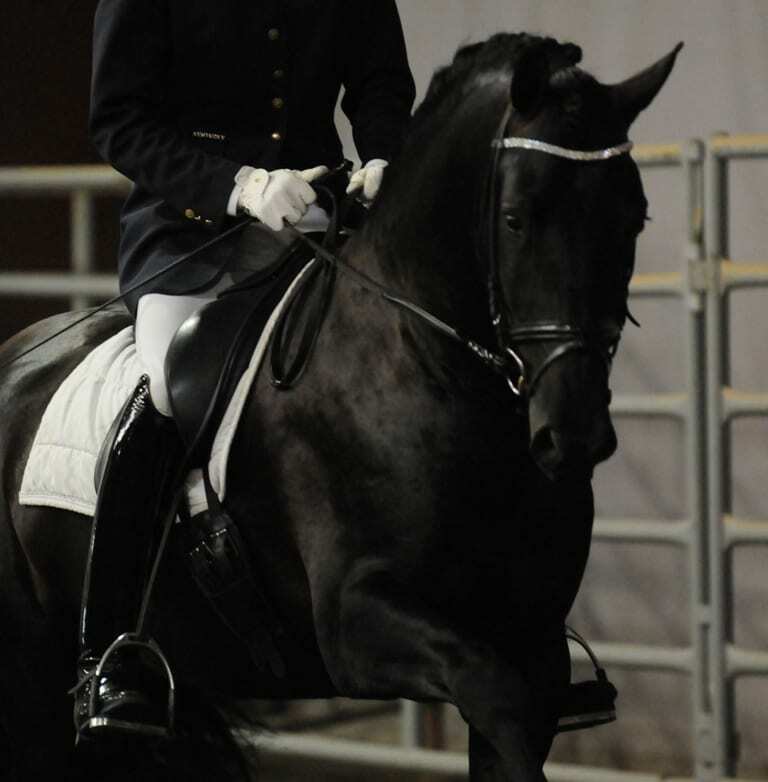 She returned to our Canadian National show in 2011 with Arquero under saddle where she competed and became the National Amateur High Point winner. Way to go Kaylyn. 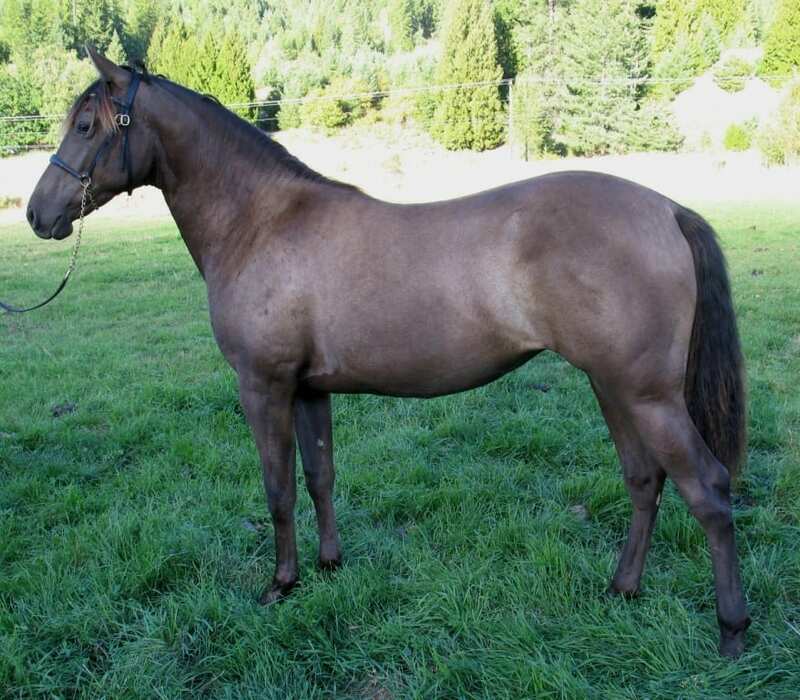 VMF Estrella Brillante is a buckskin 2007 Azteca filly. Her sire is national champion stallion VMF Valiente and her dam is our beautiful buckskin AQHA mare Tivio Jacks Ms Enya. This beautiful filly was sold to Nettie Barr of Canadian Natural Horsemanship where she happily resides in Alberta as a brood mare.